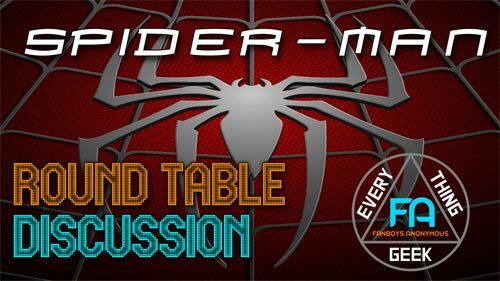 For the third meeting of the monthly Fanboys Anonymous roundtable discussion podcast, the members chat about Spider-Man. Hosted by Tony Mango, the panel includes Nick Abrams, Michael Burhan, Sam Lascio, and Nikki Mills. How does Spider-Man sew his costume?